Car battery charger and Jump Starters are daily needed when your car battery is getting old or discharged regularly or the weather is draining your car battery. 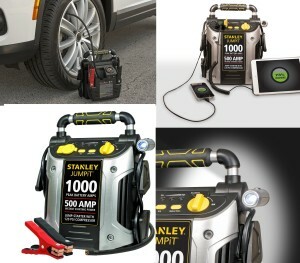 Most of the times it is weather causing the battery to drain and then you have to either use a push or pull by another car method or use a car battery charger or a Jump starter. Choosing a smarter option is always better which is, Use of Jump starter. Here we have done some really in-depth research and have brought few facts for you. Before making any smart purchase, it is always advisable that we understand the product very carefully. This review would try to illuminate the salient features of some of the most high-tech, customer friendly and best of the portable car battery chargers- some people know it by the name of ‘jump starter as well. It is precisely a method of starting a vehicle with a discharged starting battery. Its’ function is primarily this- The external supply of electricity recharges the disabled vehicle’s battery and provides the necessary power that enables the process of cranking the engine. Particularly, motorists may need to carry the jump starters in case of accidental discharge of the vehicle battery. Though it’s a highly advantageous invention that makes the life of the regular users easy, there are certain cautions that one needs to undertake so that the experience with the product is satisfactory. The fact that takes away all the worries is that the safe procedures for connecting and disconnecting cables are given in the vehicles’ manual. Now, With multiple tempting offers easily accessible to the customers, it becomes practically impossible for the interested buyers to zero into the best deal. Keeping this concern in the mind, we give you the proper overview of some of the most popular car battery chargers that may assist you in narrowing down to your best purchase of the car battery chargers. This is one of the most favorite alternative opted for by the users. It offers a convenient and portable way to jump-start your battery without compelling you to have another vehicle in the vicinity. It has about 1000 peak Battery Amps that facilitates the instant starting power. It includes 120 PSI air compressor, DC and USB charging plugs. Along with these comes the high powered LED light that rotates 270 degrees. The contended customers share that the item is fairly well- made. It weighs approximately -15lbs. Its greatest vantage is its smooth efficiency and hassle free mode of operation. However, it’s weight , size and battery chemistry may pose as its major drawback. RAV Power 550 A Peak Current Portable Charger is yet another car battery charger preferred by many of the interested users. It operates with an efficiency of 14000mAh. It has a highly competitive output that yields approximately 4.2 A . It has an adeptly functional LCD display and comes up with a great assurance of safety and protection in the rare cases of unpredictable occurrences . 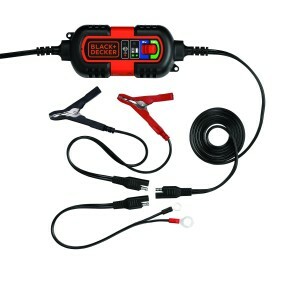 It is supposedly the best car battery charger to go for of one wants to use it in Diesel or Gas Engines up to 3L to 5L. It is compatible with the vehicles that require constant charging in order to operate efficiently. Nonetheless, one disadvantage of this battery charger could be the development of a condition called sulfating that only happens in the negligible cases of leaking. If the main areas of your application demand. premium charging , you can definitely choose this exceedingly eco-friendly car battery charger. 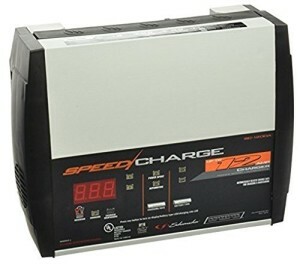 This is essentially a 6 V/ 12 V Amp fully automatic microprocessor regulated battery charger .having 6 V/12 V auto voltage selection, this charger is capacious enough to do 3 Amp for maintaining ,6 Amp for medium charging requirements and 12 Amp for the purpose of rapid charging. It’s edge over other chargers lies in it’s being equipped with a reverse-hook-up protection so that the unit will not operate in case the clamps are reversed. Besides, It has a convenient cord wrap too that ensures an easy portability. Since it is the product of advanced technology and modern research, it’s acceleration is incredibly high . However, The only thing that might make you think twice before buying it is its hefty dimensions. With an ecstatic high frequency of 1.5 Amp, this car battery charger is fully automatic. It provides a charge when needed, without the need of manual instructions. It features 6 volts and 12 volts charging selectivity. It is precisely used for charging RVs, specialty vehicles, marine deep cycle batteries classical cars, snowmobiles and much more. It comes along with DC accessory plug and battery clips and battery ring terminals. It is sealed for protection against moisture, dust, and oil. This is a great feature for a car battery charger since it ensures its long and properly functional life. 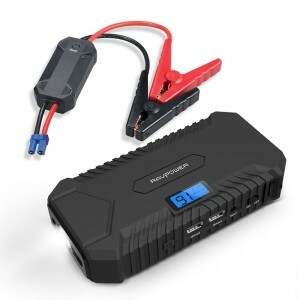 It also contains within its manufacturing the mounting brackets that again makes it stand apart from the other options available for the same product and make it indubitably the best of the best car battery charger/jump Starter. However, one has to compromise with the only limitation that it comes with only 1 year of warranty. 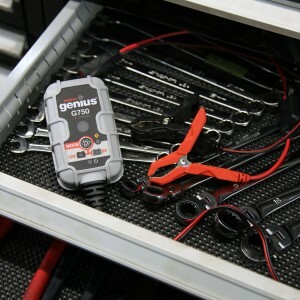 With astoundingly efficient LED indicator, CANBUS electrical system, and a sleek streamlined design, NOCO Genius G750 6 V is the safest and the most advances car battery charger available in the market these days. It is specifically designed to charge 6-volt and 12-volts batteries up to 30-Amp per hour. The best thing about this jump starter is that it is two times faster than any ordinary car battery charger manufactured. It’s pivotal advantage lies in the fact that it can effortlessly maintain automotive, marine , power-sport and deep-cycle batteries. It can also remain connected safely 24/7 , without any discharge issues. The G750, that uses about 120- volt-50-60 Hz electrical systems, can certainly rank amongst the best car-battery chargers that one can unhesitatingly buy. It is factually difficult to mark anything as a disadvantage in this battery charger, if we ignore that it’s dated manufacturing requires some vigorous care. That sums up the essential features, advantages, and drawbacks of some of the best car battery charges that are ruling the market right now. It’s now for you to consider them properly and make a clever choice. Let us know what are your thoughts in comments so we will come up with more specific information as you want !